Another large-scale case of equine neglect has come to light with the June 9 seizure of 47 horses from Living Waters Arabians in Farmersville, Texas, near Dallas. The horses will be sold at auction this Saturday, July 10. Details of the actual seizure are scarce, and Collin County Animal Services, which currently has custody of the horses, has not been able to make detailed info about the individual horses available due to short staffing. However, photos taken shortly after the seizure show emaciated horses, and reports suggest that most of them have not had much training or handling. The horses are said to trace back to the famous stallion Raffles and are smaller than average Arabians. Raffles stood only 13.3h at maturity. Though the horses are said to be purebred Arabians, their prior owner has not released their papers to go with them through the sale. The horses have been dewormed and had Coggins tests. 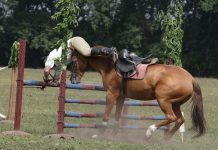 The horses are being auctioned instead of sent to retraining or rescue facilities due to an order from the judge who presided over the hearing after the horses’ seizure. Collin County Animal Services has set a minimum bid of $250 on each horse to reduce the risk of the horses being won by slaughter buyers or people without the resources to care for a horse. 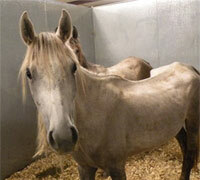 Horses that do not reach the minimum bid will be released to approved rescue groups with 501(c)3 status. Rescue groups are required to fill out an application and provide a letter of reference from a farrier and a veterinarian before they will be approved to take any horses. Anyone interested in bidding on any of the horses can begin arriving at 8:00 on the morning of July 10 at Myers Park in McKinney, TX to view the horses. The auction will begin at noon. According to the Collin County Animal Control, the auction is tentative as the horse’s owner still has the right to appeal. Visit the Collin County Animal Services website for updated information, including the location of the auction. How could people do this to their horses? I really hope they all find great homes. I wish I was able to take one, but since I live in CA that would be very hard. This is so sad! I’m glad someone is doing something for these mistreated horses! I bought a neglected/abused arabian gelding in December and I have never regreted it for one second! He loves to learn and try new things and he’s so sweet and gentle and never in a bad mood! If it was at all possible for me to take one of these horses i would! Please someone give them the home they deserve!!! Wow – terrible. What a sweet face in the picture. Almost made me cry. Thanks for spreading the word. Hopefully they’ll all get good homes. So… The kill buyers, or anyone buy the horses from the auction.. But the rescues have to wait until after the auction, then provide references? Something is messed up there… I guess at least he said $250 bids on them. Hopefully they’re all saved. Ummm………they think thats going to stop the kill buyers? Yeah.right. I’d like to talk to that judge. When will we learn?! HOPE THE GET GOOD HOMES! I can almost bet these horses will make it to the slaughter buyers. Why not let the rescue centers take them first then have an adoption day? Its a shame that people either don’t care about their animals or are just to stupid to have them in the first place. my family and I are expectiong on attending this auction, He hope to bring home about 5 of these horses. My daughter trains hunter/jumper, and she has been talking about this event for 2 weeks. She said today that these horses are going to be so happy to be in a forever home. I believe that most of these horses will be going to a good home as you can find a horse around here for much less then 250. I think that judge should be the one auctioned. Poor judgement! Soumds like he wants the horses to go to kill buyers. Boo!!!! What an awful situation. That photo makes me sick. Such a sweet expression in the face of suffering. I am happy to tell you that all 47 horses were sold to homes. Thank you for publicizing this situation, the extensive publicity brought in many buyers. 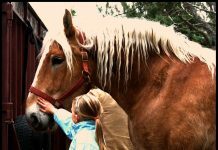 Please see http://www.irenedeem.com/ArabianRescueTexas.html for heartwarming stories of the rescued horses. Thank you to all the people who opened their hearts to these unfortunate horses.